I found this recipe a few years back when we planted our very first garden. Our rosemary did exceptionally well, and I was trying to find any recipe I could to utilize our harvest. Much to my surprise, I found recipes for desserts with rosemary! 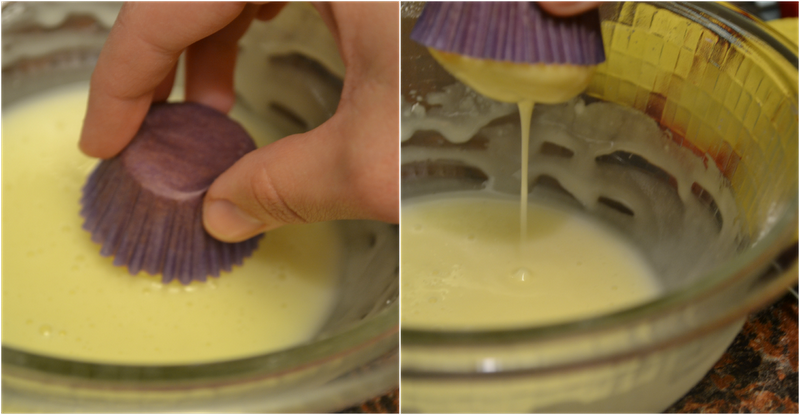 My insatiable sweet tooth wouldn't let me pass up on this recipe for mini cupcakes. They turned out great and David really loved them, so I added the recipe to my collection. David recently had a pot luck at school and requested these cupcakes, which we have dubbed "Rosemary's Baby Cupcakes." One of these days we'll have to watch that movie. The great thing about the recipe (found here) is how easy and quick it is. You prepare a white cake mix like you normally would, then add in rosemary and orange zest. After baking and cooling, the mini cupcakes get a glaze made of powdered sugar and orange juice. And that's it! The second best thing about these mini cupcakes is they are pretty much guilt-free. They only have 35 calories and 1g of fat per cupcake! They are the perfect little treat to satisfy your sweet tooth without ruining your diet. If you can eat just a couple, that is. But beware, they are very addictive! That's the catch. Who can eat just a couple. I'd sit there and eat all of them as long as they were in front of me. Yep, it's very hard to just eat a couple. The only reason why I agreed to make them is because David took them all to school! If they were hanging around the house I'd have them eaten in a couple days. These look delicious! Rosemary can be really tasty paired with sweets. I will have to try my hand at these sometime- great idea! I highly recommend them! A great quick and easy recipe. I absolutely love using rosemary in sweet treats. These muffins look great! Thanks, Amy! I'm getting a lot of use out of my rosemary this year.